Is Owens Corning (NYSE:OC) a good equity to bet on right now? We like to check what the smart money thinks first before doing extensive research. Although there have been several high profile failed hedge fund picks, the consensus picks among hedge fund investors have historically outperformed the market after adjusting for known risk attributes. It’s not surprising given that hedge funds have access to better information and more resources to find the latest market-moving information. Owens Corning (NYSE:OC) was in 35 hedge funds’ portfolios at the end of the third quarter of 2016. OC shareholders have witnessed an increase in support from the world’s most elite money managers recently. 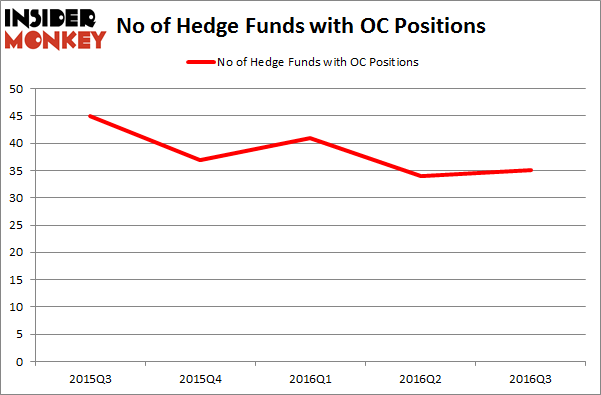 There were 34 hedge funds in our database with OC positions at the end of the previous quarter. The level and the change in hedge fund popularity aren’t the only variables you need to analyze to decipher hedge funds’ perspectives. A stock may witness a boost in popularity but it may still be less popular than similarly priced stocks. 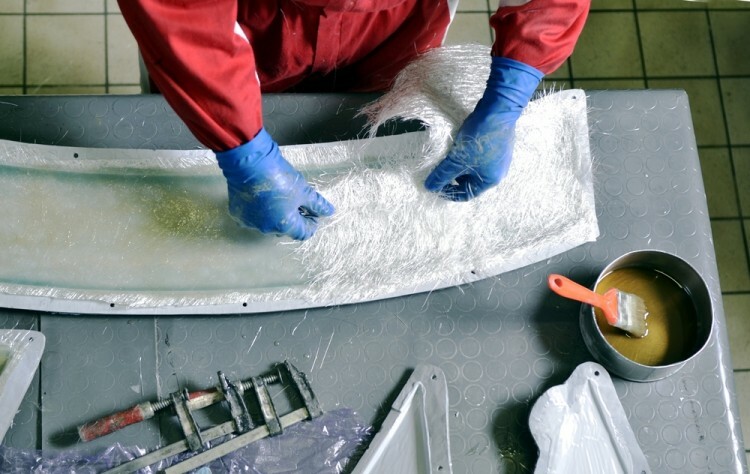 That’s why at the end of this article we will examine companies such as Sensata Technologies Holding N.V. (NYSE:ST), Macquarie Infrastructure Company LLC (NYSE:MIC), and United Rentals, Inc. (NYSE:URI) to gather more data points. With all of this in mind, we’re going to take a gander at the key action encompassing Owens Corning (NYSE:OC). What does the smart money think about Owens Corning (NYSE:OC)? At the end of the third quarter, a total of 35 of the hedge funds tracked by Insider Monkey held long positions in this stock, a modest increase of 3% from the previous quarter. With hedge funds’ sentiment swirling, there exists an “upper tier” of notable hedge fund managers who were boosting their stakes substantially (or already accumulated large positions). According to publicly available hedge fund and institutional investor holdings data compiled by Insider Monkey, David Cohen and Harold Levy’s Iridian Asset Management has the most valuable position in Owens Corning (NYSE:OC), worth close to $257.3 million and comprising 2.2% of its total 13F portfolio. Sitting at the No. 2 spot is Greenhaven Associates, managed by Edgar Wachenheim, which holds a $172.5 million position; 3.3% of its 13F portfolio is allocated to the stock. Some other professional money managers that are bullish contain Cliff Asness’s AQR Capital Management, David Tepper’s Appaloosa Management LP and Paul Reeder and Edward Shapiro’s PAR Capital Management. Have Hedge Funds Found A Winner In New Relic Inc (NEWR)? Is Monolithic Power Systems, Inc. (MPWR) A Good Stock To Buy? Mitel Networks Corp (MITL): 73% Surge in Hedge Fund Ownership Hedge Funds Are Powering Up On Nextera Energy Partners LP (NEP) Should You Follow Hedge Funds Out Of ArcelorMittal SA (ADR) (MT)? Is American Airlines Group Inc (AAL) The Right Pick For Your Portfolio?